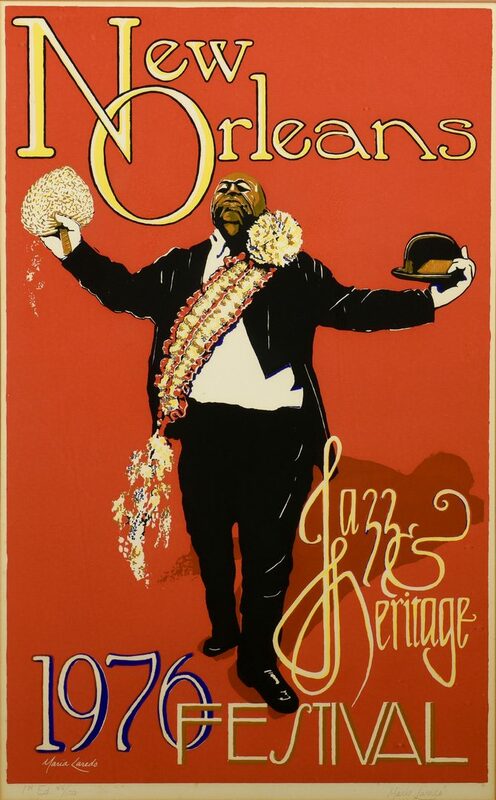 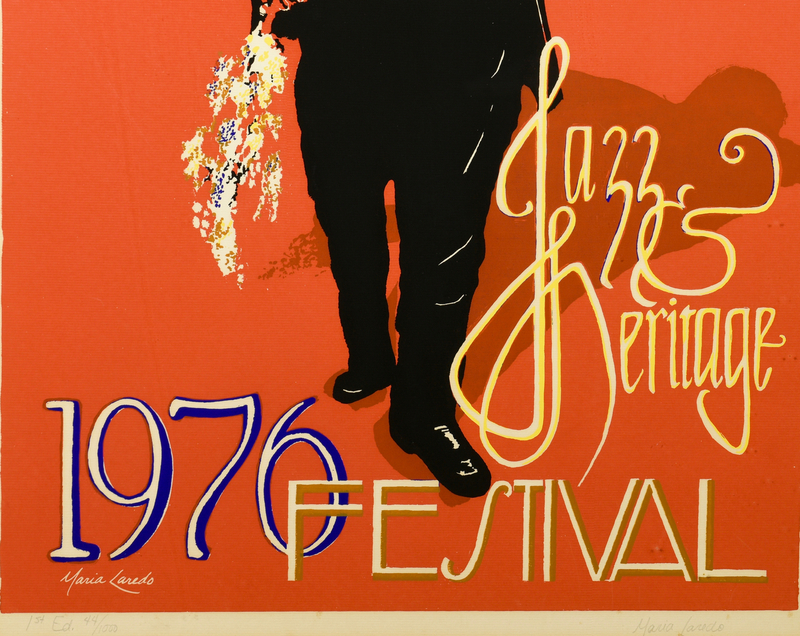 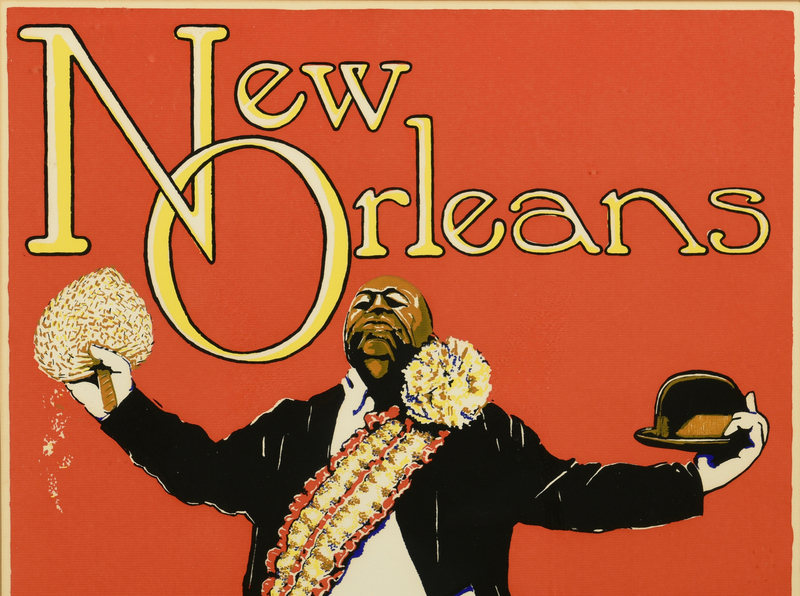 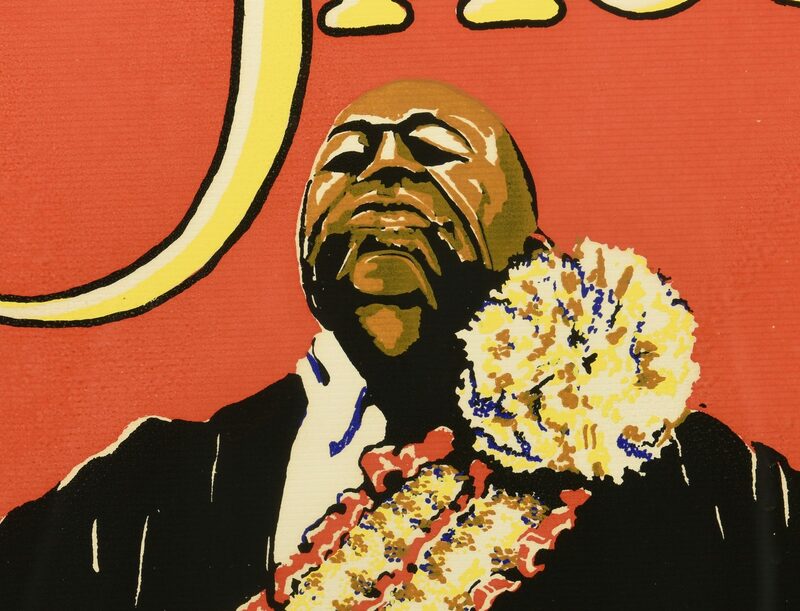 1976 New Orleans Jazz and Heritage Festival serigraph, first edition, signed by the Louisiana folk artist Maria Laredo, portraying Fats Houston, the grand marshal of the Eureka marching jazz band. 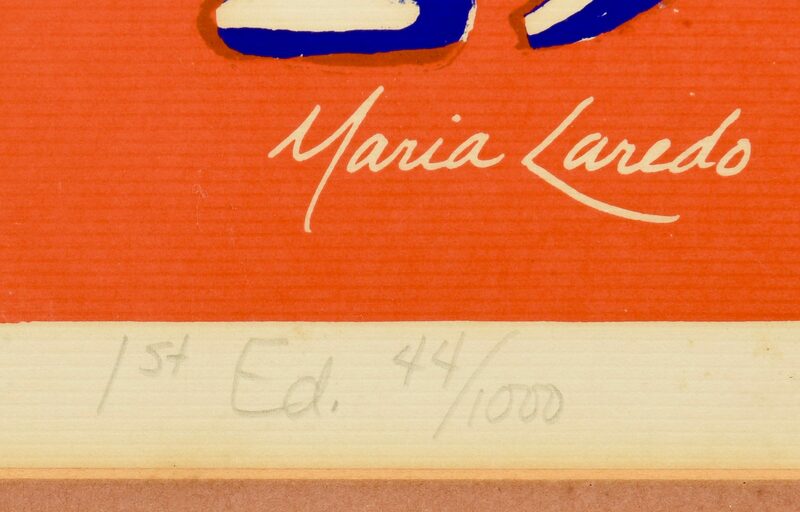 Pencil signed lower right and numbered in pencil lower left "First Edition, 44/1000". 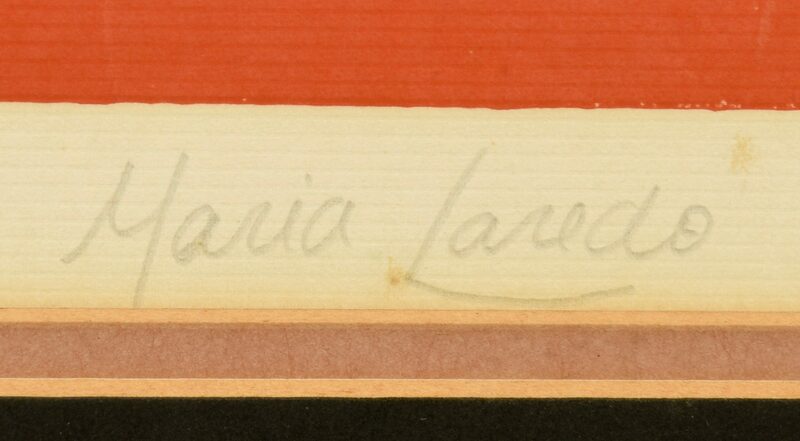 Matted and housed in a contemporary black frame. 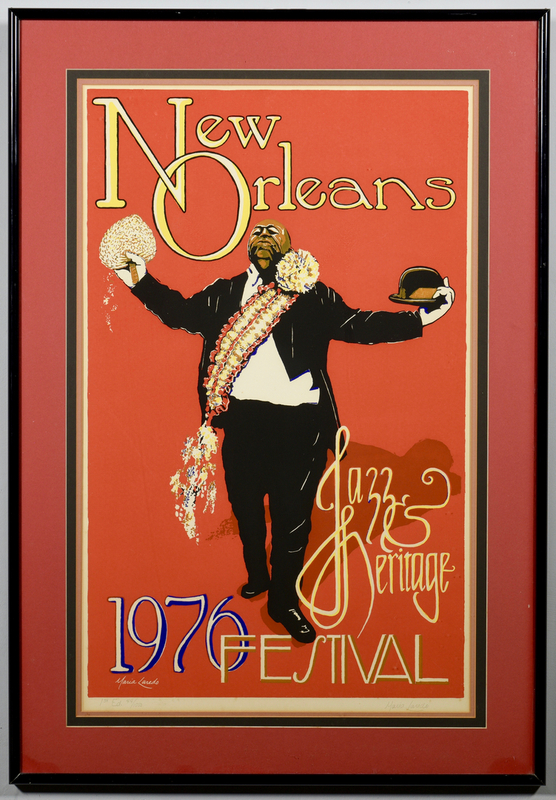 Sight – 33" H x 40" W. Framed – 41" H x 28 1/4" W. CONDITION: Overall very good condition.